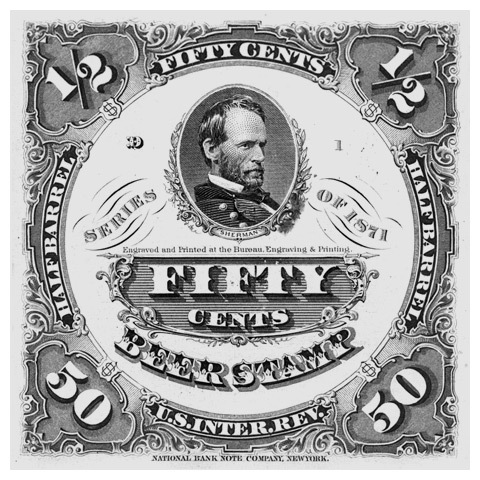 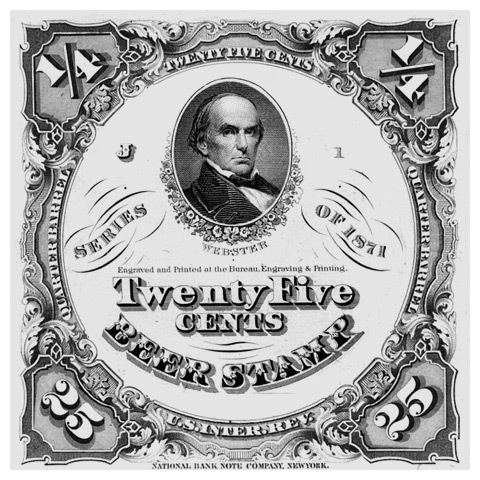 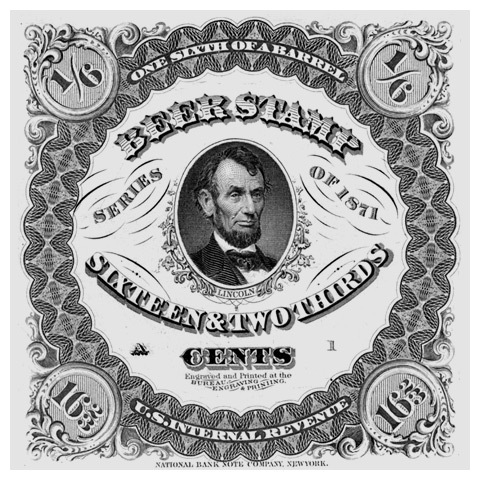 Fourth series of beer stamps: 1871 Bicolor series with engraved colored frames printed by the National Bank Note Company and engraved black vignettes printed by the Bureau of Engraving and Printing. 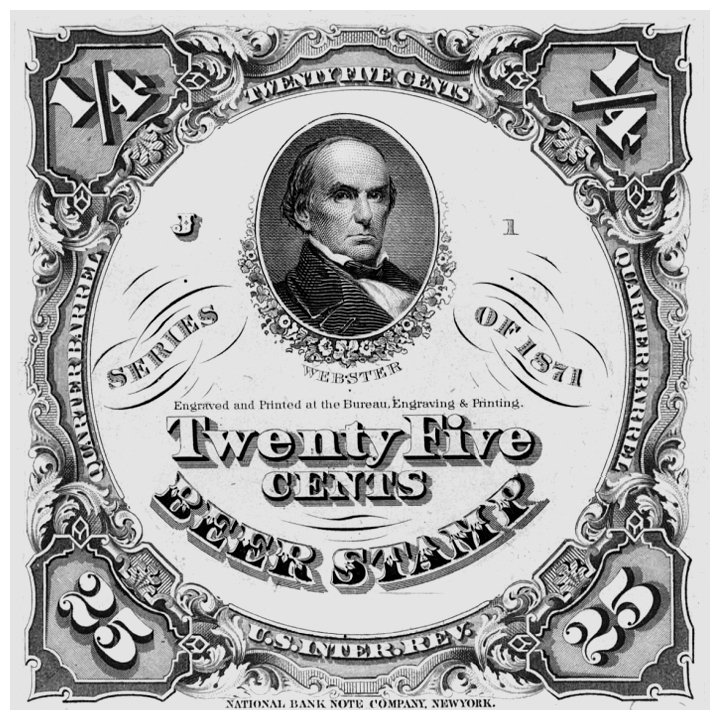 Jackson, Lincoln, Webster, Sherman, McCullough, Alexander Hamilton. 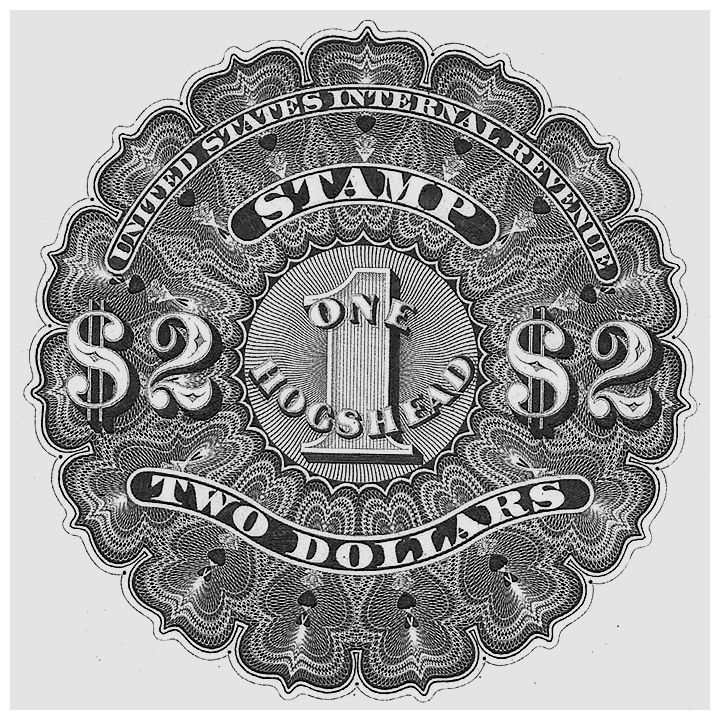 There are a lot of somewhat hidden places on the internet. 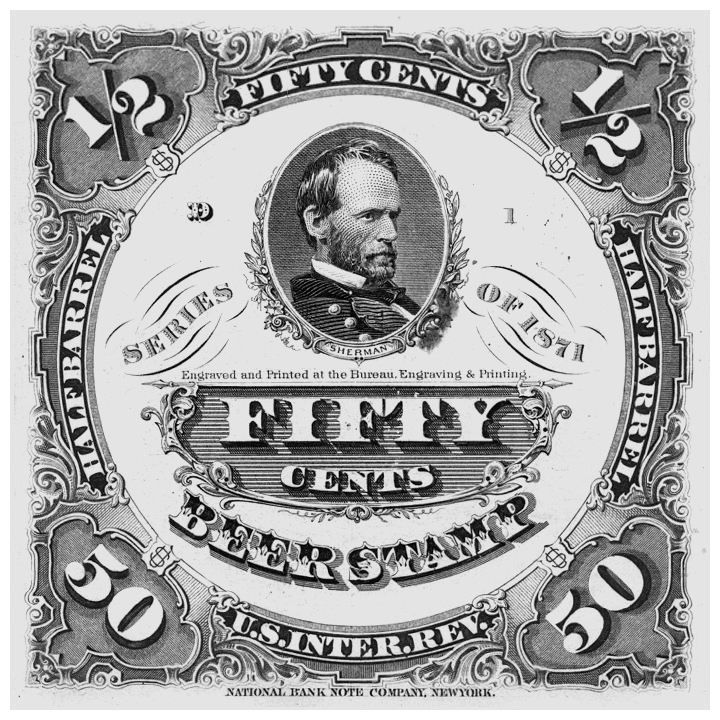 Fantastic content, located on search engine unfriendly websites like libraries, universities and auction websites. 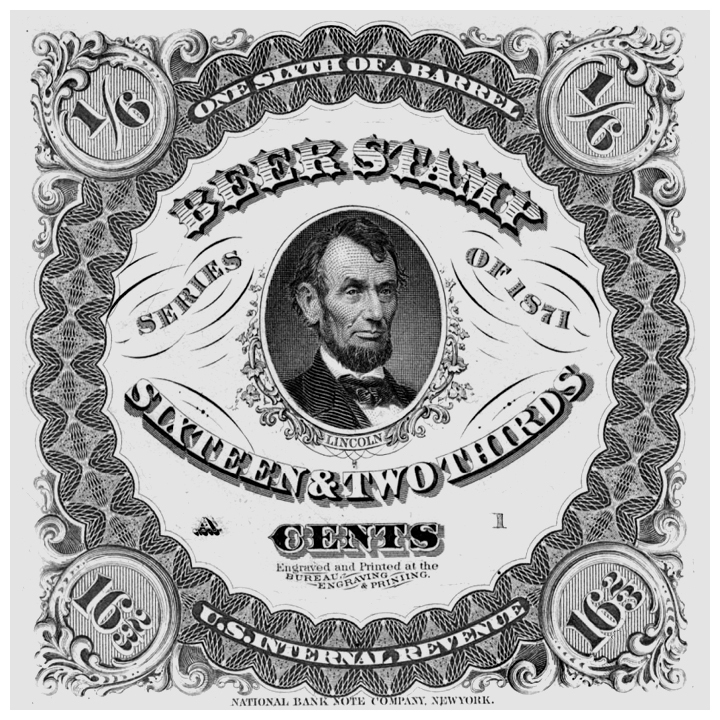 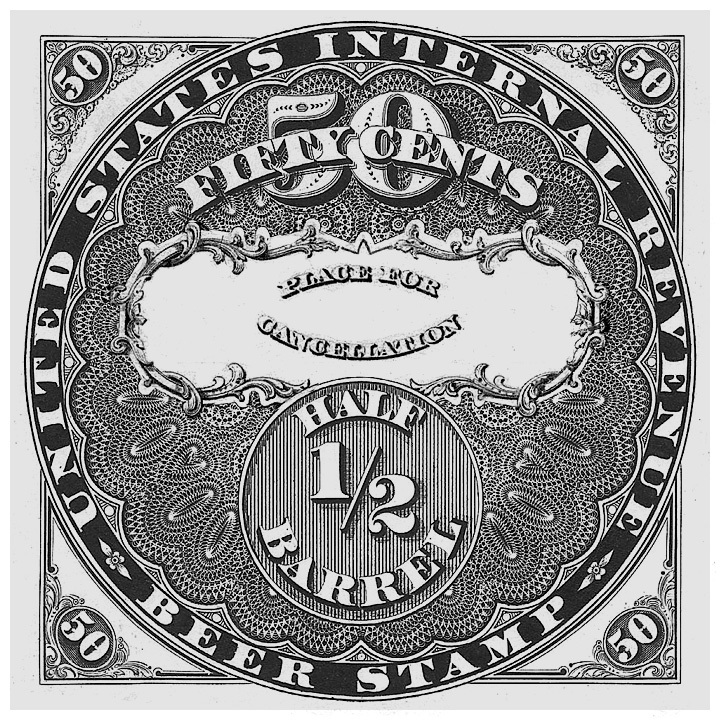 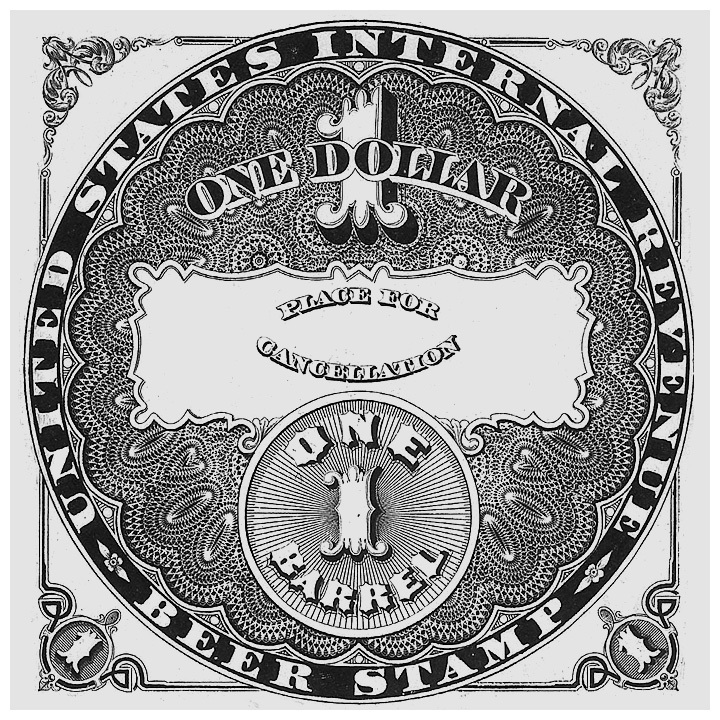 I found the first image of a beer stamp on an auction website, which led me to pages like the Smithsonian National Postal Museum. 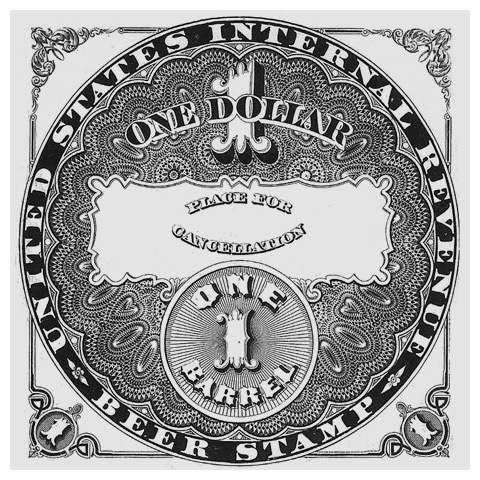 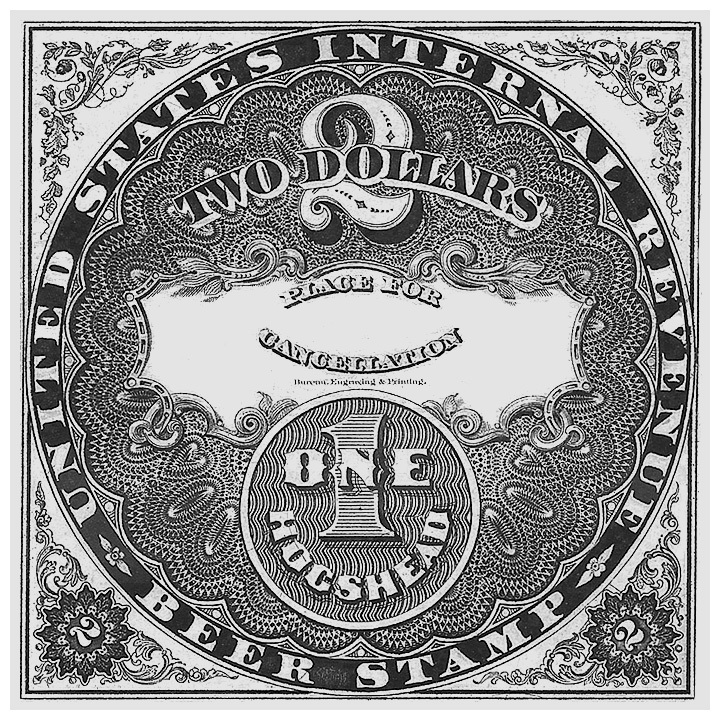 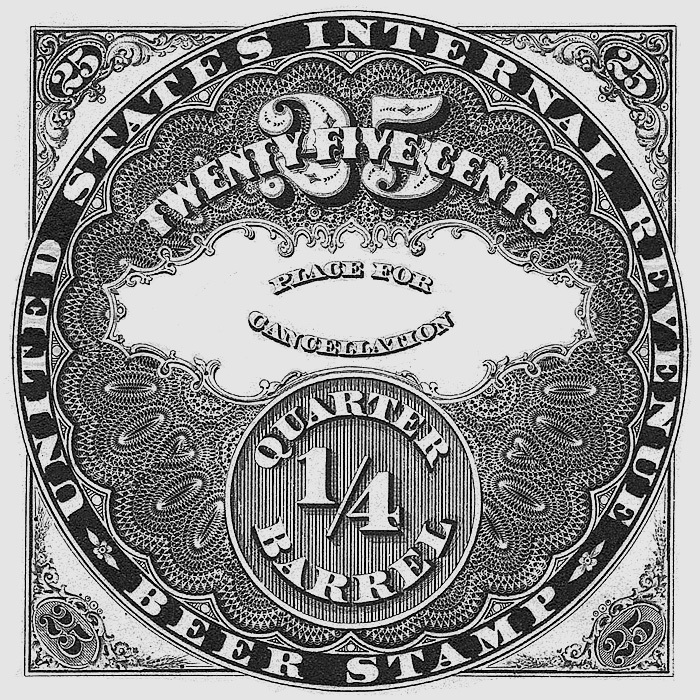 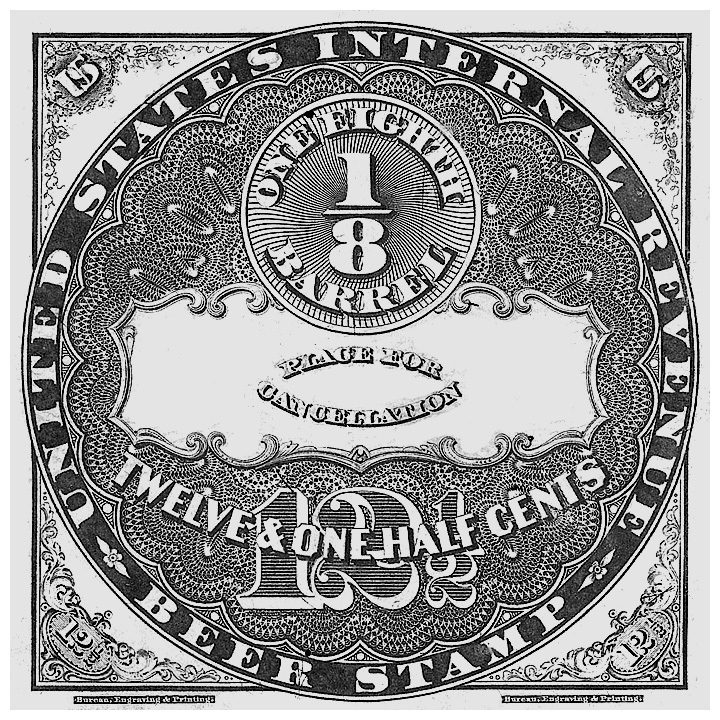 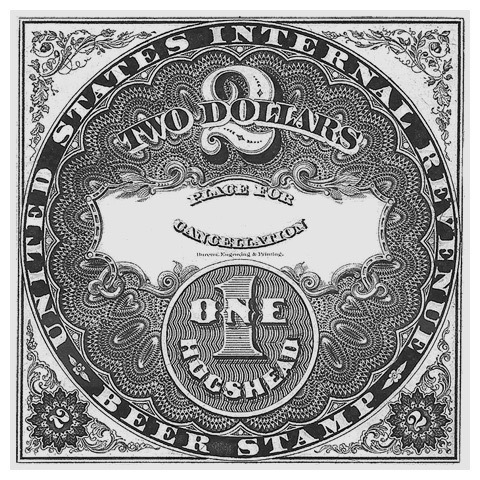 Beer revenue stamps are stamps used to collect taxes and fees. 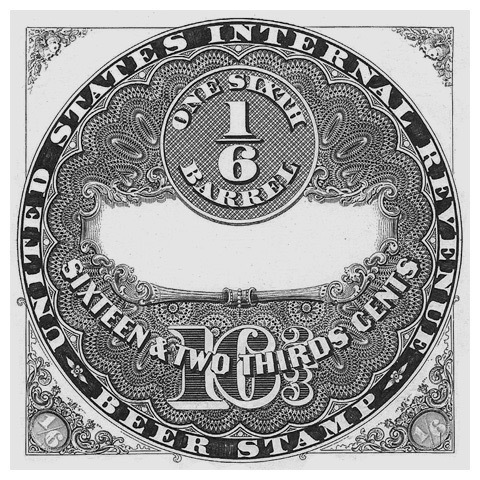 Breweries purchased them from the government and attached them to taxed items. 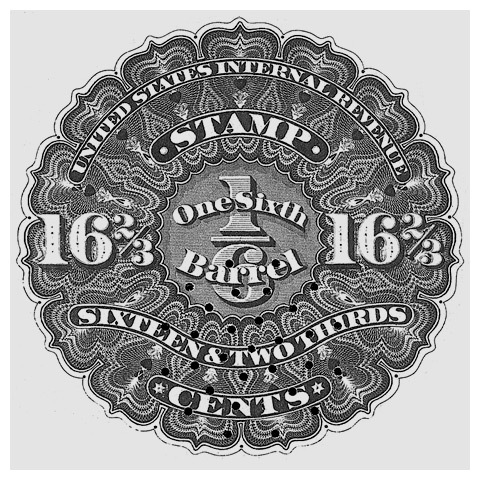 The stamps were printed on sheets, without perforations. 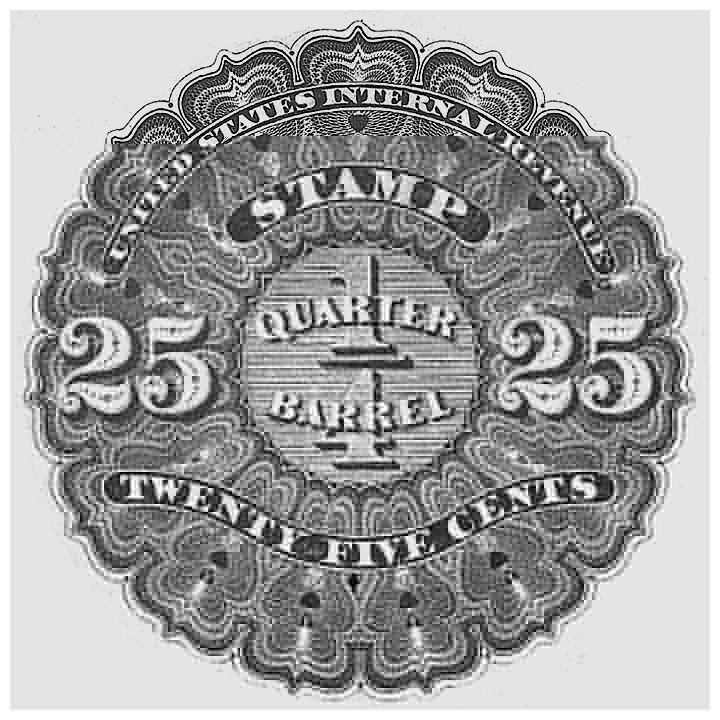 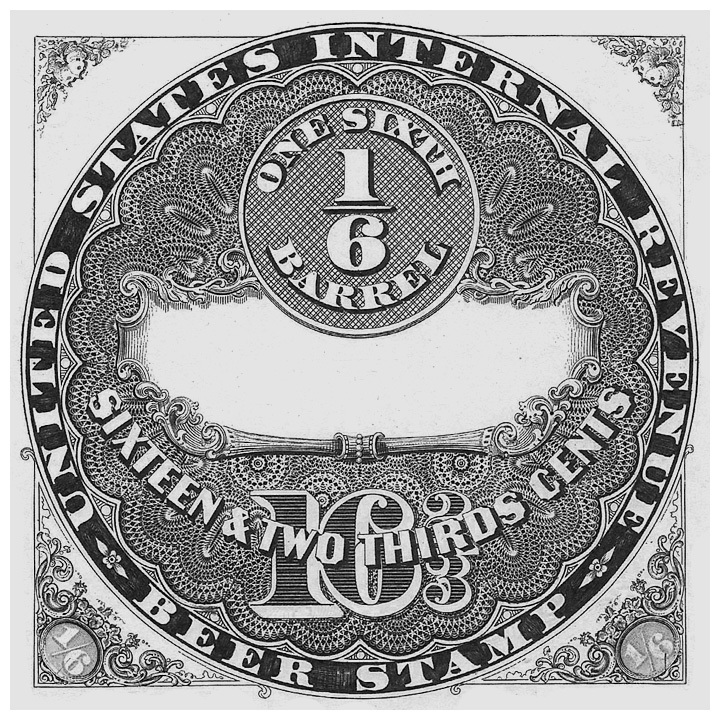 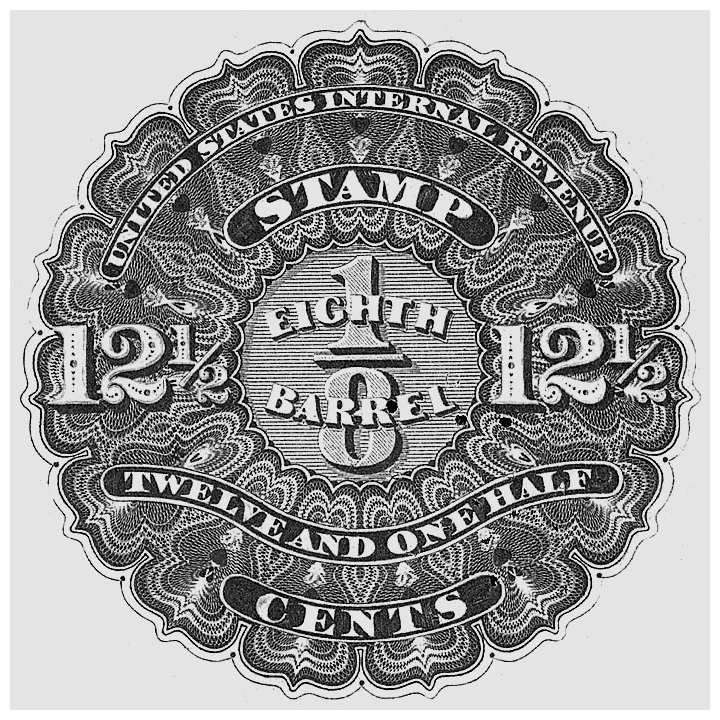 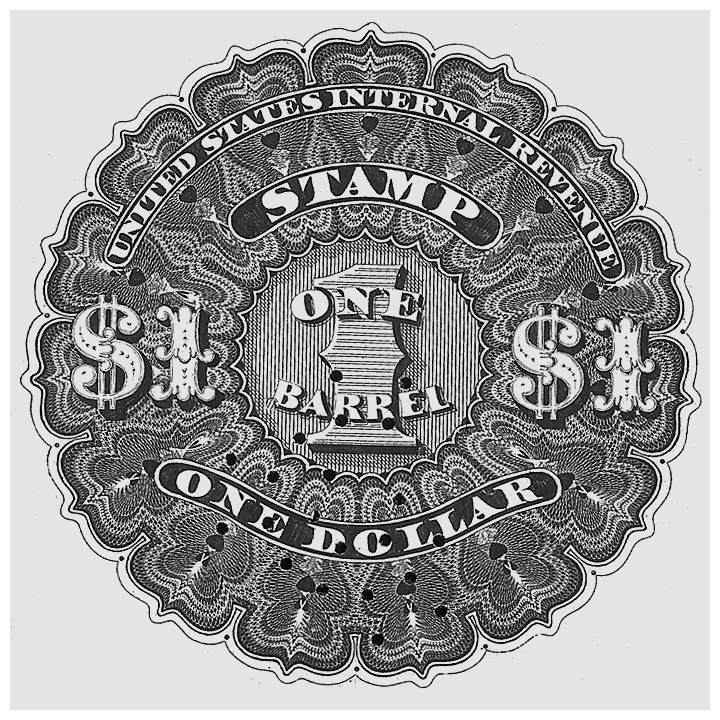 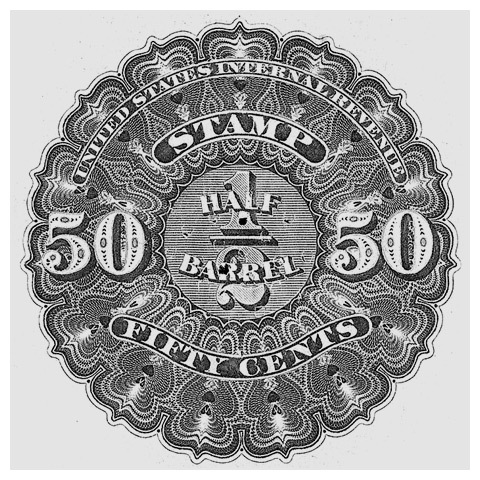 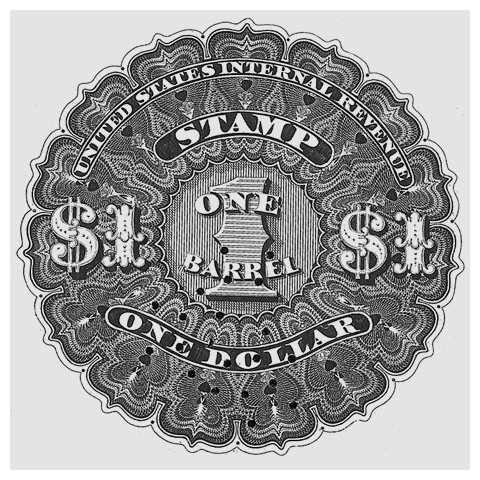 Brewers had to cut the stamps apart, cancel them, and paste them over the bung of the beer barrel so that tapping the barrel destroyed the stamp. 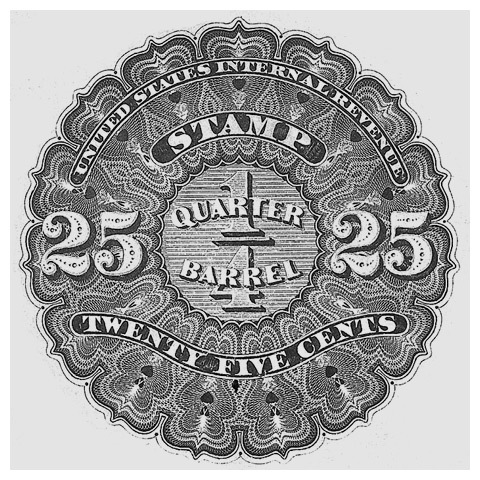 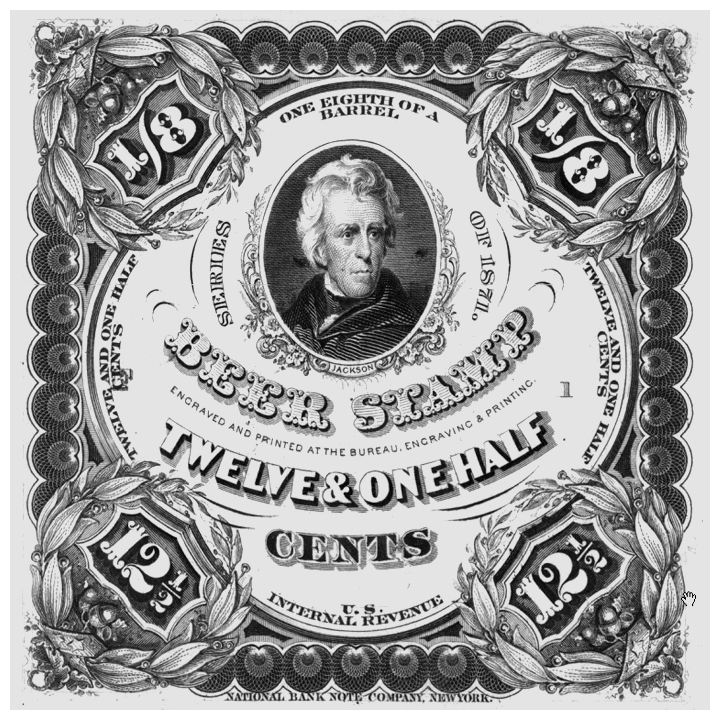 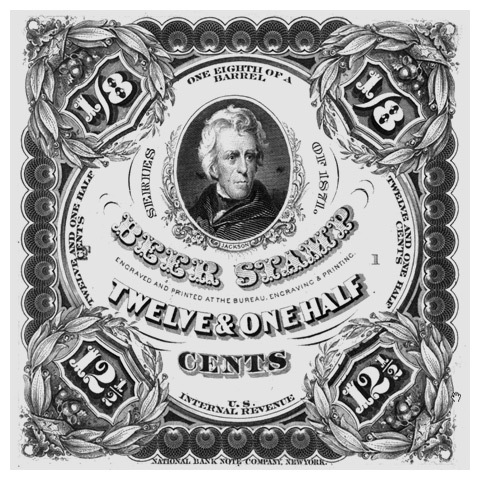 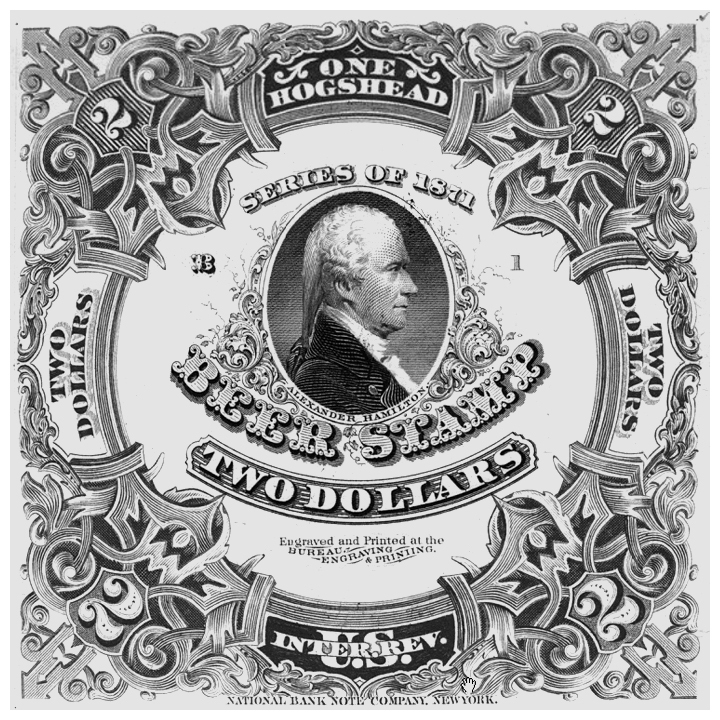 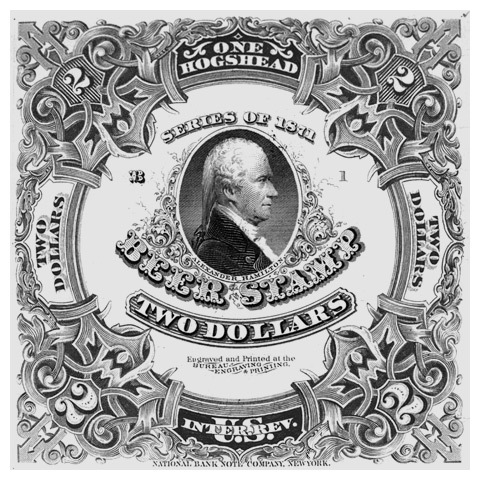 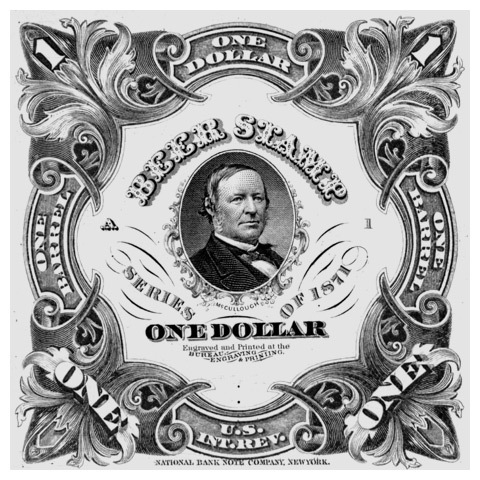 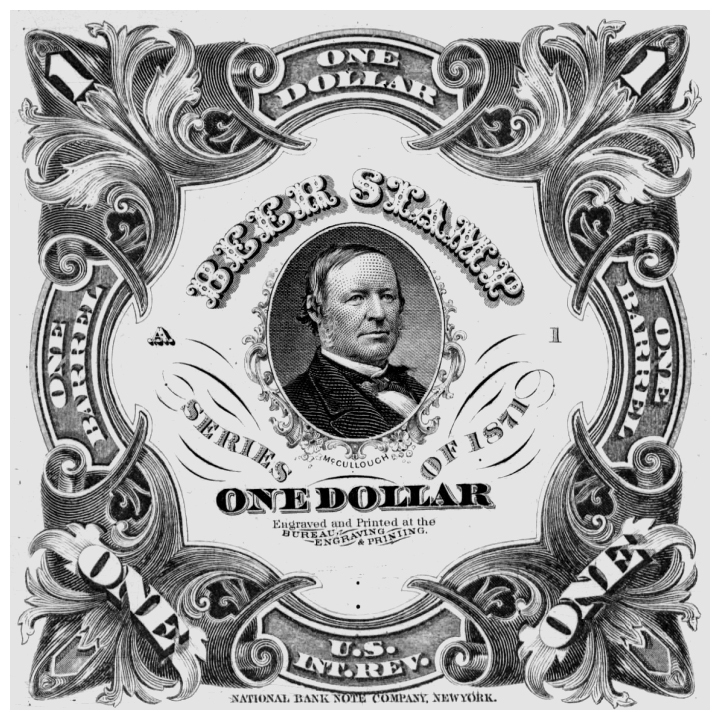 The design of the early revenue stamps featured elements similar to postage stamps and banknotes. 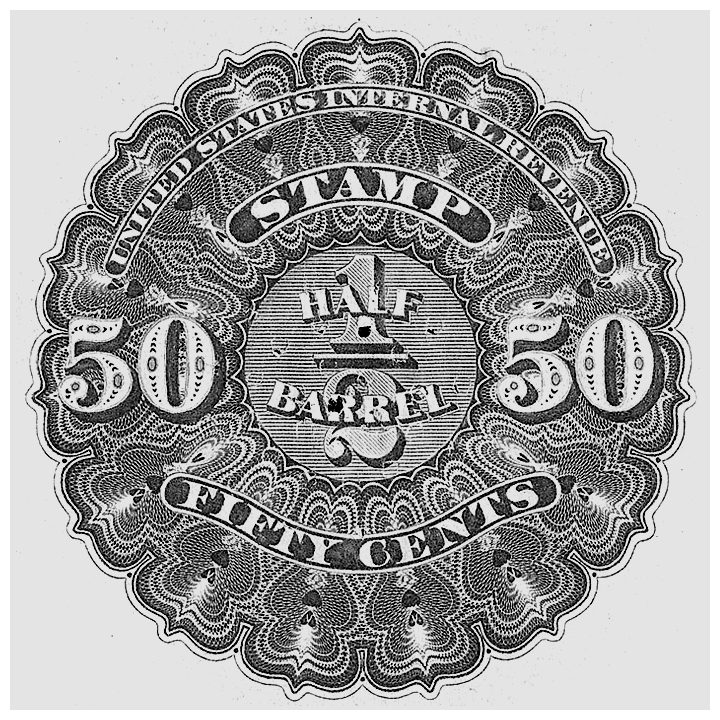 Designer’s back then (140 years ago) never took the easy way out. 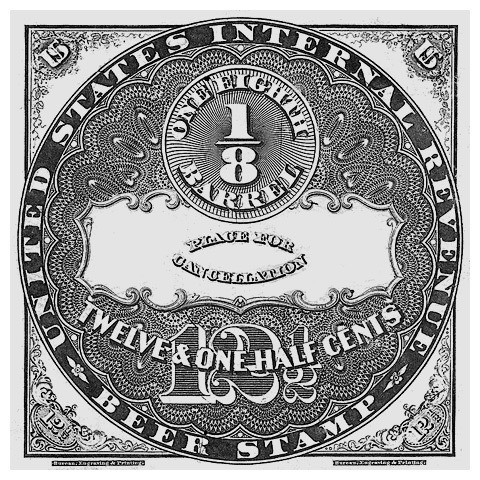 If you look at the 1971 you’ll notice the design of every stamp is completely different. 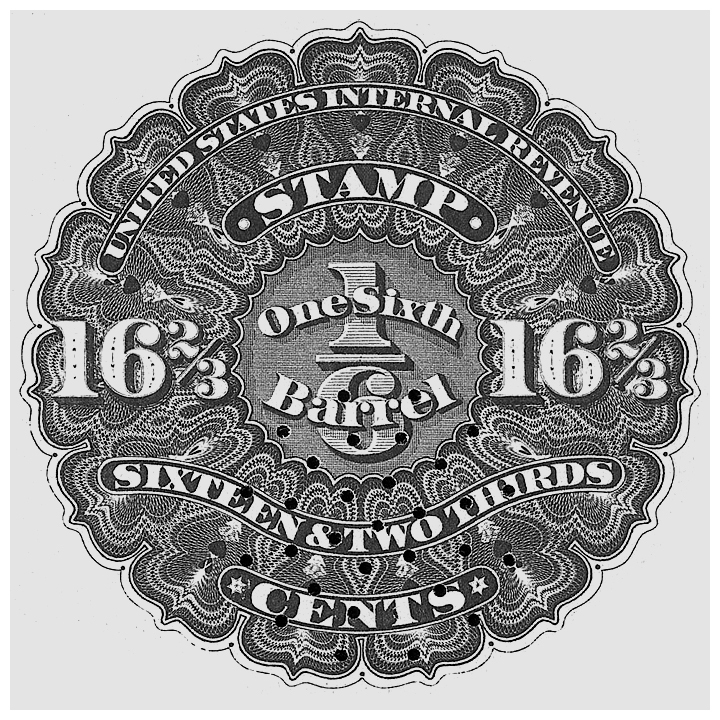 Only some small elements are re-used. 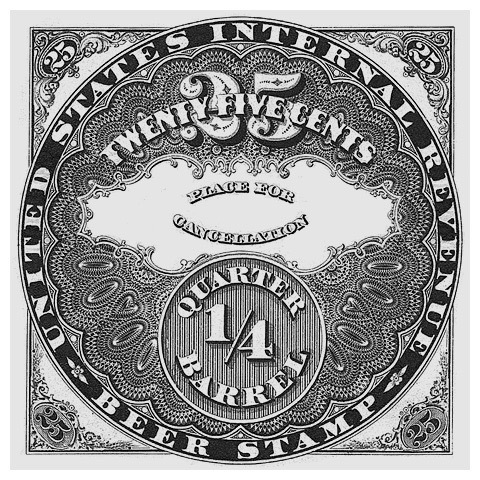 I’ve added the enlarged detail to emphasize the craftsmanship and complexity of the stamps. 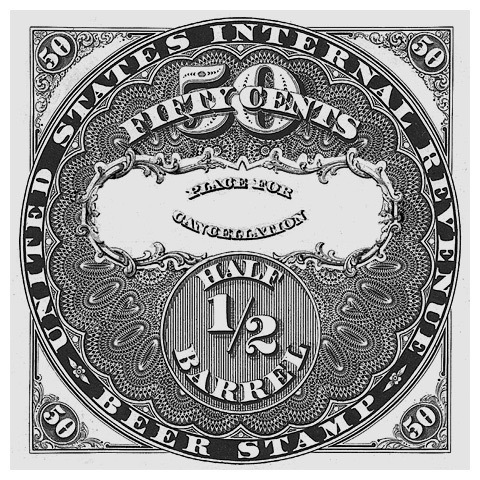 Quite an accomplishment to fit so many details on such a small space: 2 3/4 x 2 3/4 in. 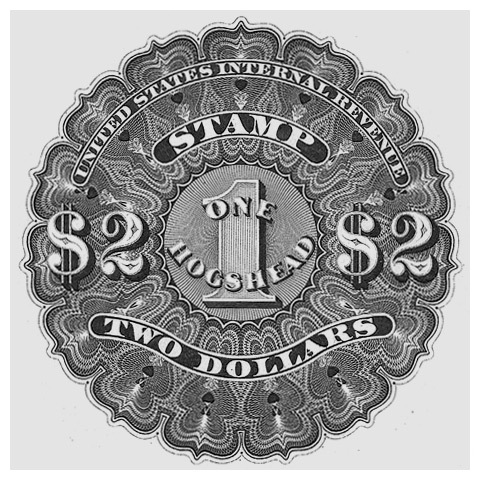 (7 x 7 cm).